"Are You Gonna Wipe That Down? ": The Petri Dish Called the Company Gym - Dalton & Co.
You’re proud that your company provides its staff with a workout facility. You’ve read all about the connection between a healthy body and a healthy mind; you’ve seen productivity increase; you can attract top talent. Everybody who uses it just seems to be in a better mood. Give your employees a microscope and you might just see those smiles turn down. The truth is, unless it’s cleaned consistently your gym might as well be a science experiment. It’s not sweat that makes the gym stink. (Sweat itself is actually odorless.) It’s the bacteria in human sweat that offends our noses. Why? Because the sweat we make when we work out is especially delicious to bacteria, and when they metabolize it they make a big stink. We normally think of sweat as salty because that’s what it tastes like when it falls from our upper lip, but when we’re stressed (like when we work out) the sweat glands in our hair follicles produce sweat that includes a carbohydrate called sialomucin, which is covered in sugar. Mmmm, the bacteria say. They feast, and then basically fart. That’s what’s happening on your sweat-soaked workout equipment. Doesn’t make for a very pleasant environment when it gets about of control. Bacteria-ridden sweaty surfaces can be dangerous, too. There are lots of different kinds of Staph, for example, including the kind that is probably living on your skin. There are also strains that can be life-threatening. One of the most dangerous is MRSA because of how resistant it is to antibiotics. 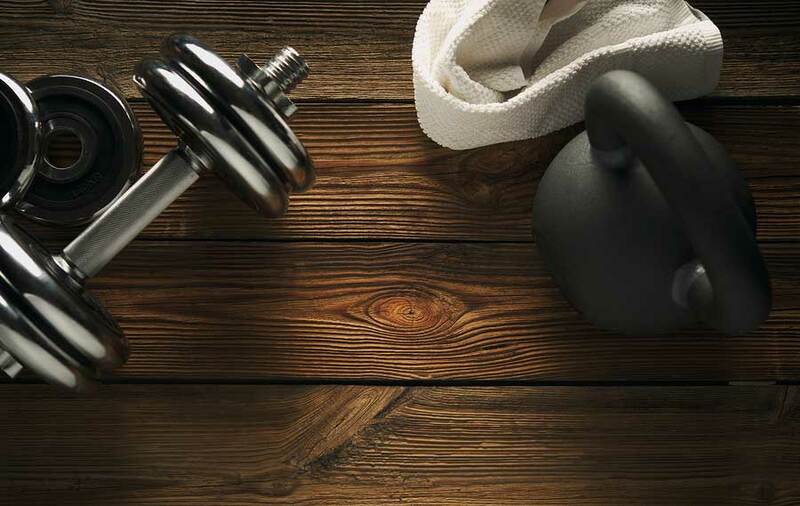 One of the most common hotspots for MRSA are workout facilities. All it takes to start a potential outbreak is someone with undiagnosed MRSA on their skin to make contact with a treadmill, barbell or other piece of equipment and fail to clean it off. It can also be transferred from a used towel. If someone infected doesn’t properly dispose of their towel, someone else – a child, maybe – could easily pick it up. The solution itself isn’t rocket science: you can provide your employees with a simple anti-bacterial spray and paper towels so they can wipe down the equipment after use. What’s a bit more difficult is convincing your employees of the importance of cleanliness, establishing mandatory procedures and making sure your staff is following through. Here are a few tips. Have staff on hand to clean regularly throughout the hours the gym is available. If you don’t have a cleaning staff during the day, assign this task to staff on a rotating basis. It doesn’t hurt to document all of this for your insurance company as well. Just like all great things in life, a gym in the workplace is a responsibility that you must take seriously. Between the right procedures and the best cleaning products, you’ll keep your employees happy and healthy. Dalton & Co. Professional Cleaning Supply is a family-owned company based in Muncie, Indiana since 1985. We offer over 1,000 products for residential and commercial use. You can order online with free shipping throughout Delaware County or purchase direct from our warehouse at 1901 W. Kilgore Ave.
Sign up with your email address to receive our blog articles in your inbox!